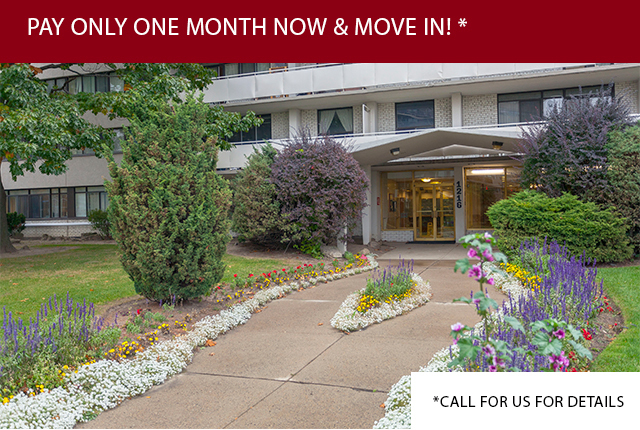 This friendly 8-storey, 65-suite building offers apartments for rent in Toronto's Parkwood area is truly one of a kind! With healthy Walk Score of 60 and Transit Score of 65 your commute will be hassle-free, as this building is steps from a bus stop and only seconds from the Don Valley Parkway & York Mills. Enjoy the summer months at nearby Fenside Park, which offers tennis courts, a splash pad, and a skating rink. Additionally, Don View Towers is within walking distance of Donview Middle School and Fenside Public School.